Next week, Star Citizen will open its doors for a ‘Free Fly’ week, and it’s set to be the game’s largest yet. Players will be able to try out all of the game’s vehicles and explore its first habitable planet during the week-long event. The Free Fly week kicks of Friday, November 23 and runs through November 30. During that period, everyone will be able to try out Star Citizen’s 80 pilotable vehicles on a rotating daily schedule. Each day, a different in-game manufacturer will have its complete inventory available to take for a spin. 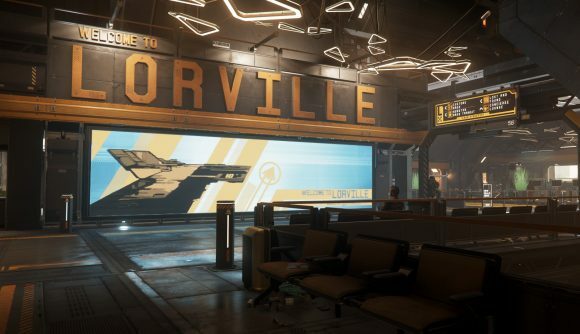 Players will also be able to explore Hurston, Star Citizen’s first habitable planet, along with its capital city/trading hub, Lorville. Roberts Space Industries says everyone who tries out the game during the Free Fly week will also be able to try Star Citizen’s 30 mission types, explore eight moons and rest stops, and earn in-game currency with which to buy their own ships. They’ll also be able to test out the improvements added to the game in Alpha 3.3.5. To sign up and download the Star Citizen Alpha client, head to the official Roberts Space Industries site and create an account. The site will provide directions on how to install the game client.